Brianna Hayes was at a restaurant with her dad when the letter arrived. 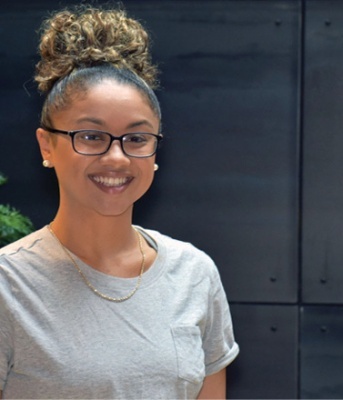 The first-generation college student from Portland had been active at President Ulysses S. Grant High School, earned a solid GPA, and been accepted to the UO. But she had no idea how to afford college, and she was feeling down. Then her mom called. 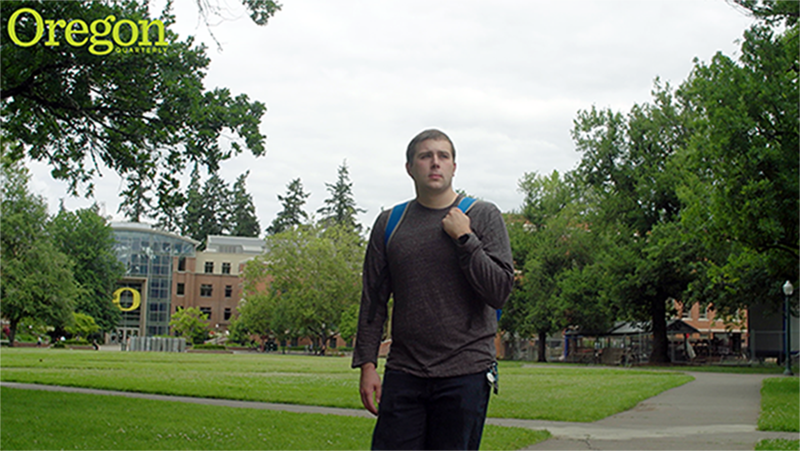 For the last 10 years, high school seniors from across Oregon have begun their college journeys like Hayes, with a PathwayOregon letter from the University of Oregon. The unconventional scholarship program is funded by UO donors, the Oregon state government, and millions of dollars allocated by the university through the Office of Student Financial Aid and Scholarships. The program helps the UO leverage Federal Pell Grant funding, combining these resources to make the most of each. Years before the first PathwayOregon freshman arrived on campus, UO administrators posed the question: How can the state’s flagship university remove financial barriers to college for Oregonians with lower income and help them succeed once they’re here? The answer was a comprehensive approach that offers financial access, along with support that helps students succeed once they’re here—practical assistance to help students meet academic requirements, manage their finances, overcome common challenges, link their majors to future careers, and more. PathwayOregon—an innovative and unconventional scholarship program—was among the first of its kind at a public institution in the United States and was the first one in the state of Oregon. 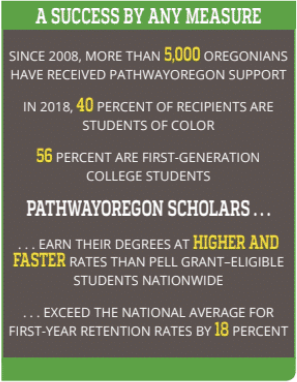 Although the funding varies for each PathwayOregon scholar, the promise is the same. The university guarantees that tuition and fees will be covered for four years as long as the students meet benchmarks on the path to success. The model allows for students to apply for other scholarships and grants, while simplifying what is often a complex financial puzzle. Freed to focus on their studies, and with guidance from the program’s academic advisors, students are more likely to graduate on time and with less debt. For many, this freedom makes it possible to study abroad, participate in internships or student-leadership activities, and explore ways to match their education and interests with a future career. A decade after it started, the program has cleared the path to the UO for more than 5,000 Oregonians—inspirational stories that began with a letter.